Today was spent organising display material for the pop-up store in Belconnen on Saturday morning. Recipe cards were printed, banners organised and truffle slicers boxed ready for sale, but most of all the truffle had to be found and prepared for sale on the day. 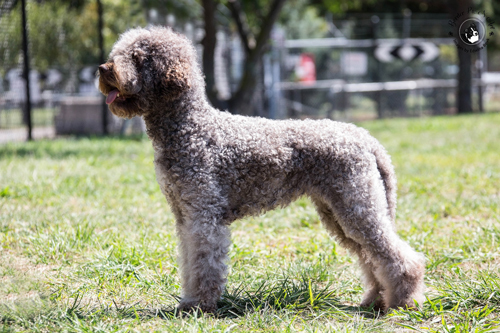 This month’s festival market day is at Westfield Belconnen and next month if you missed the Belconnen event you will be able to enjoy another truffle market at Westfield Woden. 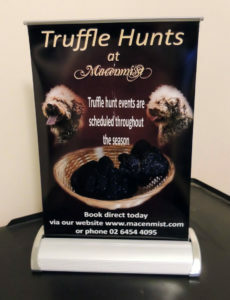 At Woden if you are lucky you may be the winner of a Macenmist truffle hunt vouchers. 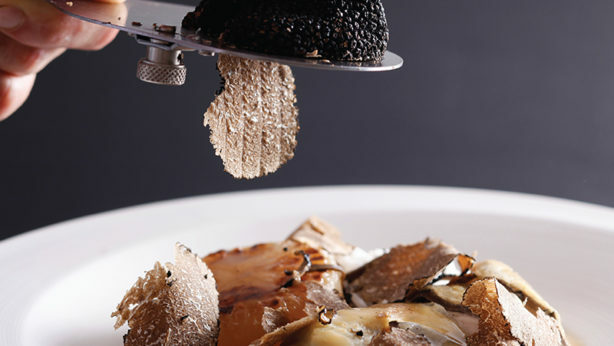 At 10am this year truffles supplied by Macenmist Black Truffles and Wines will be prepared by Chef Darren Perryman from Pialligo Estate. He will be cooking a soft polenta topped with microplaned truffle. Pialligo Estate Winery will also be featuring and pairing their wine with the dish. Then 2 hours later enjoy some Macenmist truffle made into ice cream by Alaine Chanter from Foodish cooking school. The accompaning wine will be from Mount Majura. The day was a wonderful success and many shoppers were able to take advantage of the pop-up truffle stall to purchase fresh truffle.